Lovely vivid yellow foliage provides contrast all summer. Yellow flowers and red fruit provides additional interest to your landscape design. 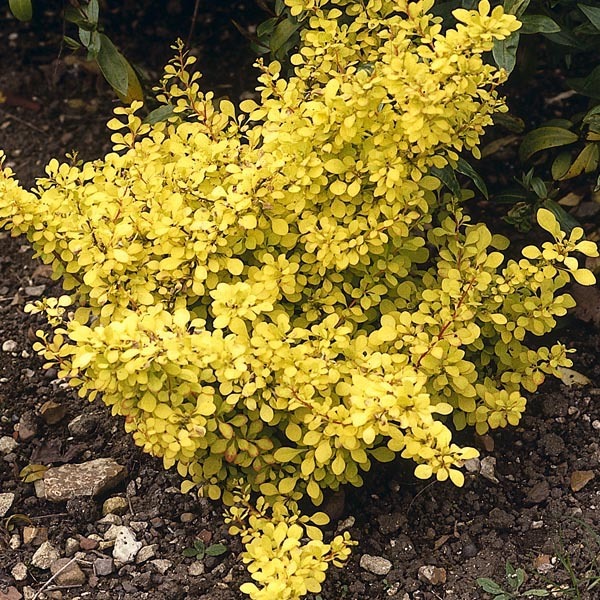 This dense, slow-growing shrub requires little attention.